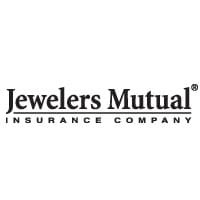 Jewelers Mutual's personal jewelry insurance is the most comprehensive and specialized jewelry protection available. They have considered every aspect of what it means to own, wear and love jewelry, and their coverage reflects just that. Most policies protect against the most obvious of jewelry loss – theft – but Jewelers Mutual has gone beyond the ordinary. Jewelers Mutual provides a truly remarkable experience, we know,they insure our business. Get a free quote today, click here.